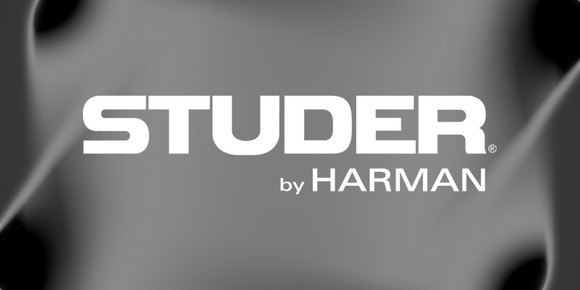 AMSTERDAM, The Netherlands – Addressing a specific need in the sports broadcast market, HARMAN’s Studer is unveiling a prototype unit designed to provide a more rewarding audio experience for television viewers. Known as the Studer Ball Chaser, this unique product allows broadcast engineers to use a joystick to open the shotgun microphone closest to the action on the playing area, while keeping the other microphones closed. In efforts to bring the game closer to the viewer, sports broadcasters often place 12 or more shotgun microphones around the playing area to pick up as much of the action as possible. However, leaving all 12 microphones fully or partially open for the whole match results in a lack of detail in the audio mix. Manually opening the microphone closest to the action and closing all the rest for the length of a game is virtually impossible, but the Studer Ball Chaser simplifies this complex task. the unit with a simple web GUI interface, setting the layout of the physical microphones around the pitch (up to 24 microphones may be used) and linking these to the faders on the desk (mono and stereo faders may be controlled). During the game, simply moving the joystick opens and closes the relevant faders with smooth cross fades. The operator can simply watch the pitch events and open the necessary microphone without looking down at the joystick. Desk faders will respond in real time to the joystick movement and open only the microphone fader nearest to where the action is taking place. In fact, the faders do not even have to be on the active layer of the desk, freeing up valuable fader space. The Ball Chaser link to the desk is a simple Ethernet connection, so the operator can be some distance from the Vista desk, even watching the action from the stand rather than taking space in the OB truck. A key advantage of this unit is that it allows more gain to be given to the on-field FX microphones, as the unit always has the equivalent of one open microphone to air. This “single” microphone can have higher gain without the crowd pickup swamping the overall mix.